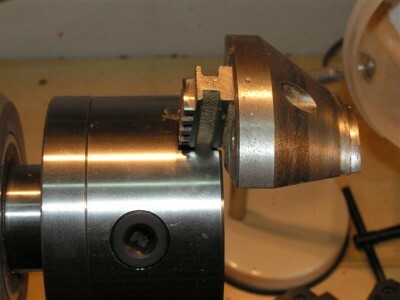 This is the chuck mounted on my Nova DVR lathe with the standard Axminster style C jaws installed and the chuck key on the headstock. There are two sockets for the chuck key. Close up of the chuck showing the C jaws again. This photo shows the attempt to mount standard Axminster jaw carriers to this chuck. 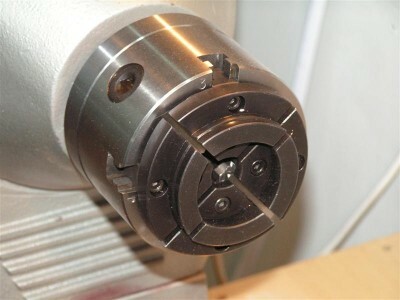 This photo shows the chuck fitted with the Nova jaw carriers. 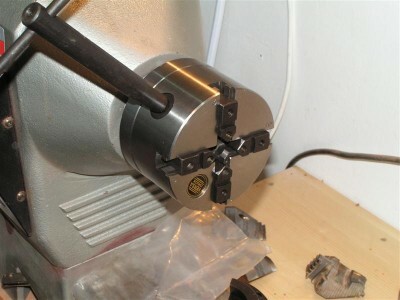 This photo shows the chuck fitted with my large Axminster gripper jaws. 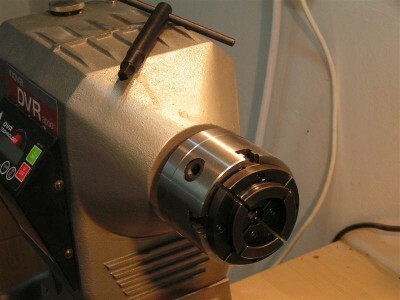 In my opinion this is an excellent chuck and a cheaper alternative to the Axminster precision chuck. It is supplied with the three different jaw carriers to take Axminster, Nova or Oneway Talon jaws and so gives the widest choice of jaw sets currently available. Extra jaw carriers are available from Toolpost. It is supplied with the adaptor suitable for most headstock spindles. 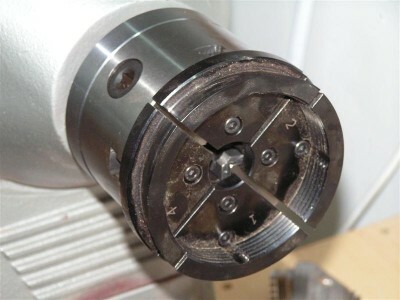 Alternative adaptors are available from Toolpost or the Axminster Precision adaptors are identical and will fit this chuck.